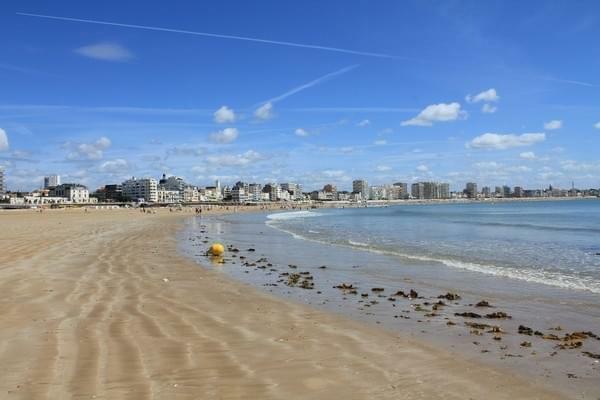 City with a strong tourism capacity, hotels abound in Les Sables d'Olonne. Tourists attracted by its beaches and water activities, its natural heritage and its ports does not have that hotels like lodging formulas Les Sables d'Olonne. Campsites, cottages, vacation rentals or cottages, to each his way of staying in this beautiful corner of the Vendée. Due to the closeness of the sea, Les Sables d'Olonne is also a spa and destination spa. In this context, the Mercure Hotel Thalassa is a hotel Les Sables d'Olonne with spa with thalassotherapy institute. This 3 star hotel is also a good place hotel Les Sables d'Olonne: the beach is only two minutes. The price of a single room starts at just over 70 euros. At the heart of the Bay of Les Sables d'Olonne, the Atlantic is facing the sea. This is a Hotel Les Sables d'Olonne with heated pool and access to it is free. The warm and relaxed atmosphere and the comfortable rooms make the stay pleasant and relaxing. At the 2 star hotel Les Sables d'Olonne, Hotel Admiral deserves mention for its excellent value for money. It is also a hotel downtown Les Sables d'Olonne. The ibis Les Sables d'Olonne meanwhile, is located near the station in the heart of town.